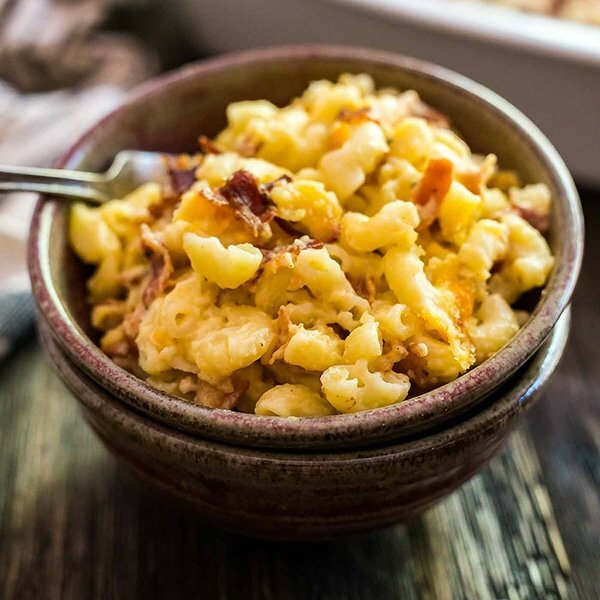 Bacon Ranch Mac and Cheese is a fun twist on a classic homemade family favorite! Last week, J was out of town on business. He left on Tuesday morning and returned late Thursday night. If I’m being completely honest, I’ve been a bit nervous about this. Not so much about flying solo with the girls. Taking care of the girls is part of my daily life, and there are women everywhere who do this alone with more kids than I have every day of their life (by the way, Ladies- you are total rockstars!). I was more nervous because I knew I would miss J terribly. He’s my person and I look forward to hanging with him every day and night. I also get anxiety about him traveling without me. I recognize how completely irrational this is. But that’s the thing about anxiety, it generally isn’t rational. It’s insane that my brain tells me he’s less likely to have something horrible happen if I’m there with him. I built the trip up to A as the opportunity to have girls nights and I went out of my way to make them extra fun and special. I picked up special cookies for dessert and allowed the girls to watch a few extra shows. A was allowed to stay up a little later than usual for some extra mommy snuggle time. Overall it went super well, but I’m SO glad he’s home! J had a talk with A before he left about being a good listener and helper and she went above and beyond the be as helpful as possible. She clearly took pride in her hard work and good behavior and I made a point to emphasis what a great listener and helper she is. At one point when I told her this she said “Can you tell Daddy that I’m a good helper and a very good listener?” It was so sweet my heart just about burst! In general, whenever one of us tells her that we’re proud of her or talks about her being a helper, she takes it really seriously. It’s as if something comes over her and she’s focused and very serious. As such, I go out of my way to tell her how proud she makes me and pump her up when she does something right. 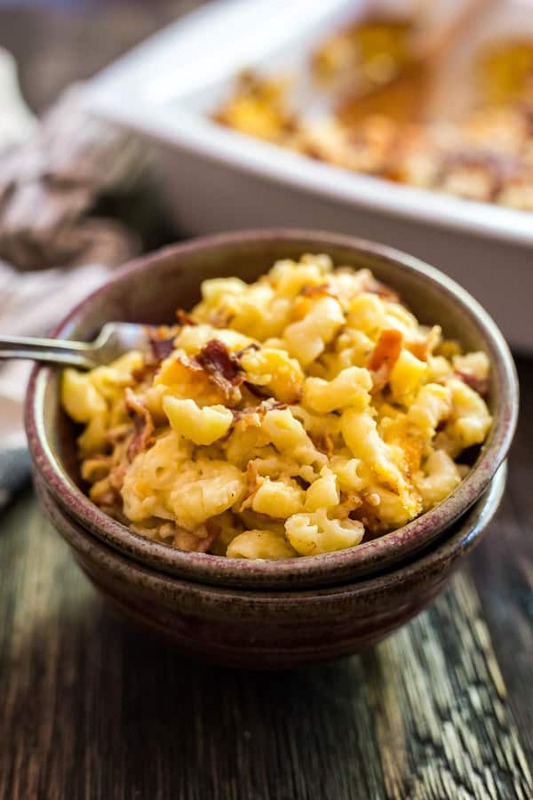 Mac and Cheese has been a favorite food of mine since I was a little girl. I mean, is there anything more comforting than creamy, cheesy, savory pasta? When I was a kid, my mom would sometimes make frozen mac and cheese and my absolute favorite part was the slightly crispy crust that would form on the corners of the container. I always made a point to be the first one at the table in hopes of getting all those perfect corners to myself! As you guys know, J is something of a picky eater, which can be challenging for me since I love to sample a wide variety of foods. But in addition to enjoying mac and cheese, he and I both share a love for bacon and ranch dressing (in fact, I grew to love ranch because he loved it so much!). 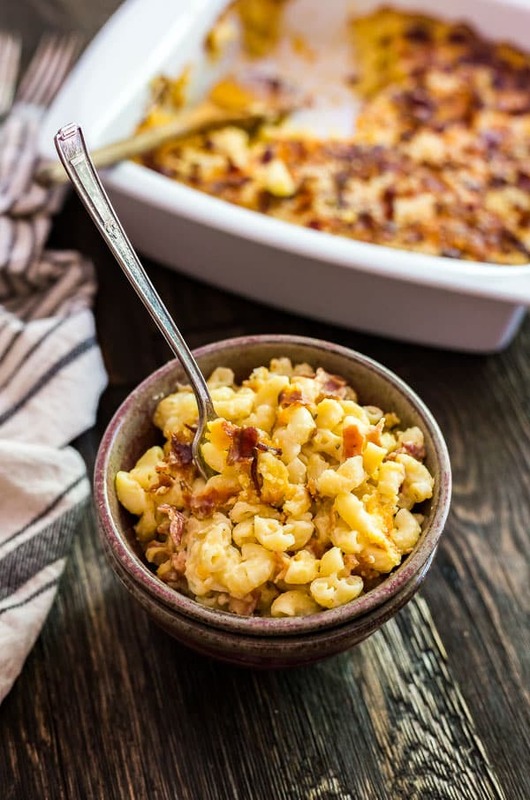 And since I’m always looking for ways to add a fun twist to classic recipes, Bacon Ranch Mac and Cheese seemed like a natural next step. 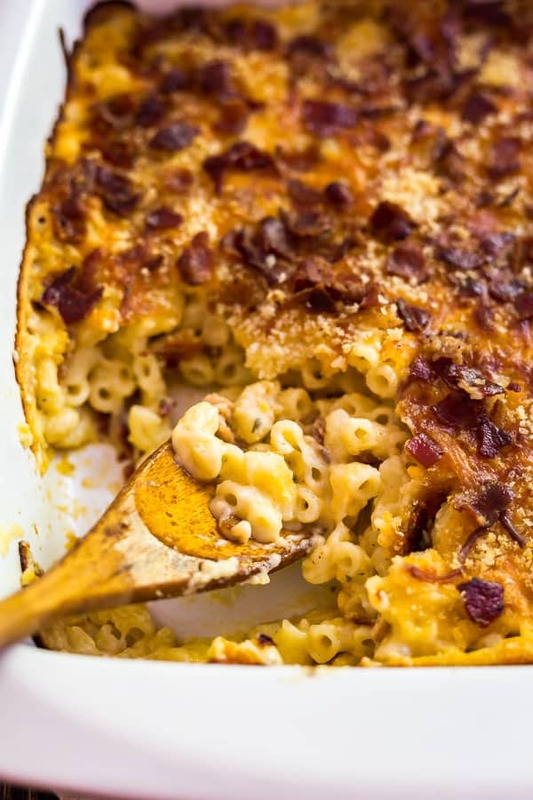 This dish is the creamy and delicious mac and cheese that dreams are made of! The bacon brings a savory smokiness and the hint of zest from the ranch seasoning kicks the whole recipe up a notch without being overpowering. 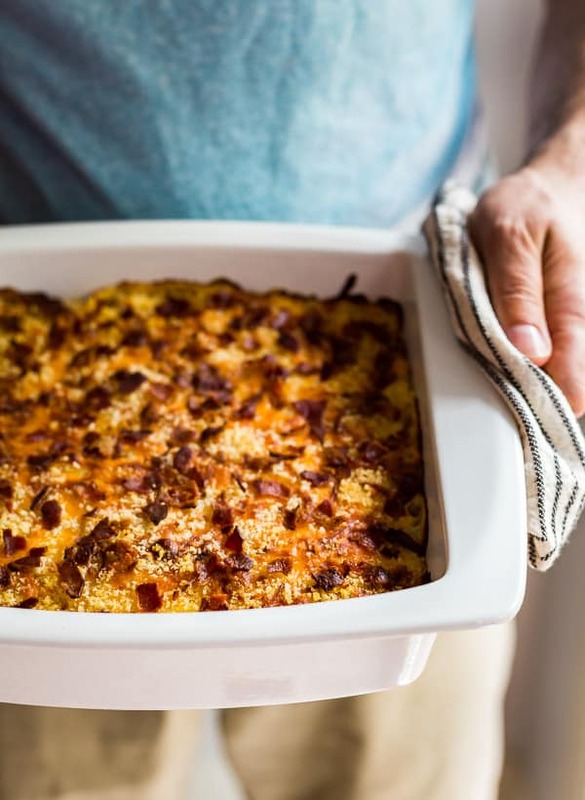 I sprinkled some extra cheese on top at the beginning with a generous portion of panko bread crumbs and some crumbled bacon to achieve that crispy crust that I loved all those years ago in every serving. If you’re looking for a more melty-cheese on top, simply wait to add the toppings until 10 minutes before it’s done baking. This fun variation will definitely be making some appearances during football season this year. But it’s also quick and easy enough to make a comforting and heart weeknight dinner this fall. It’s definitely best right out of the oven and can easily be doubled to feed a crowd. Your family will be fighting for that second helping! 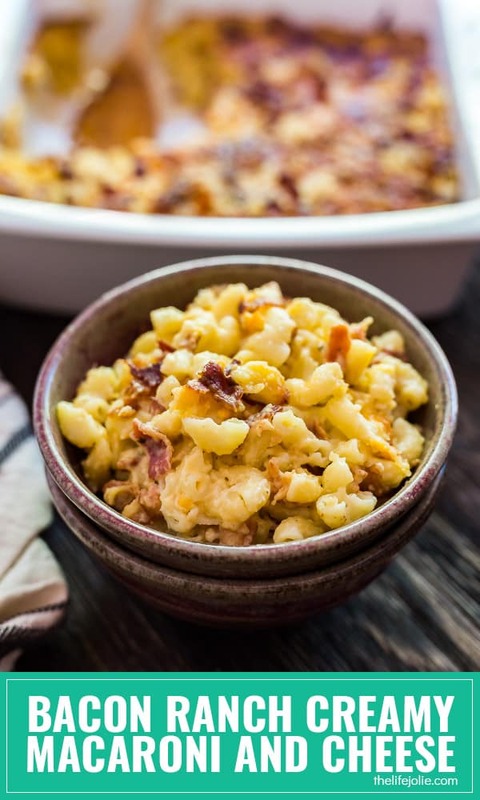 This Bacon Ranch Mac and Cheese recipe is a fun twist on this classic homemade family favorite. 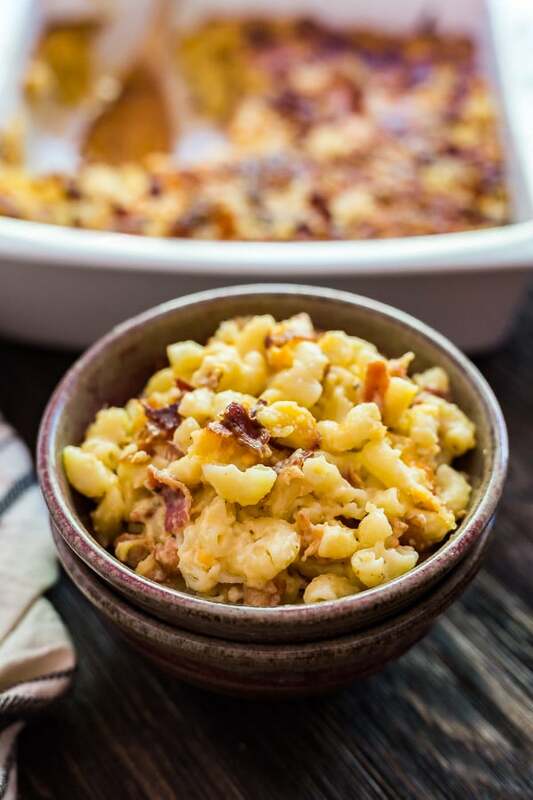 Smoky bacon and zesty ranch seasoning combine in a creamy cheese sauce on the stove and as finished in the oven- this is a fantastic game day option, but easy enough to enjoy on a busy weeknight. In a medium size pan, melt butter over medium heat. Add flour and whisk to make a roux. Let the roux cook for 1-2 minutes, whisking often. Add milk and ranch seasoning. Whisk the ingredients continuously until it thickens slightly, around 10 minutes. Add 1 cup of cheddar cheese and 1 cup of mozzarella cheese and whisk until fully combined. Add the cheese mixture to the macaroni and crumble 6 pieces of the bacon in. Stir until well combined and pour into a 9" x 9" pan. Top with remaining cheese, panko bread crumbs and crumble on the remaining bacon. Bake for 30 minutes or until the top is crispy and the edges are bubbling. When making the cheese sauce, do not raise the heat above medium and make sure you stir frequently to prevent scalding the milk. It will look like you have too much sauce before you bake it. Don't be alarmed; while it bakes, the pasta will absorb some of the sauce without drying out. 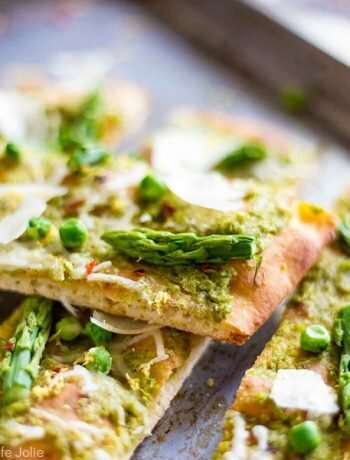 This recipe is written to give you a crispy crust on top. If you're looking for a more melty topping, wait to add the toppings until 5 minutes before the end of the baking time. September 26, 2017 at 10:26 pm Okay, this is almost too good to be true. Cannot. Get. Over. How. AMAZING this sounds!! Love! September 27, 2017 at 9:50 am Thank you- I feel like this is he best time of year for mac and cheese! September 27, 2017 at 9:50 am Thank you- I feel like this is the best time of year for mac and cheese! September 28, 2017 at 8:07 am Ok, this looks fantastic! 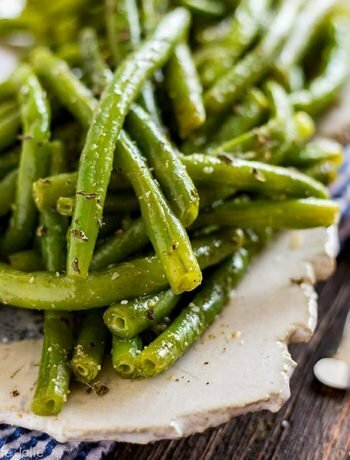 What a perfectly comforting dish for a cool night, and a great meal for when you need a food hug!